SINGAPORE - In a bid to strengthen community ties in estates, the Housing Board is looking to design new playgrounds that pay homage to a neighbourhood's heritage. 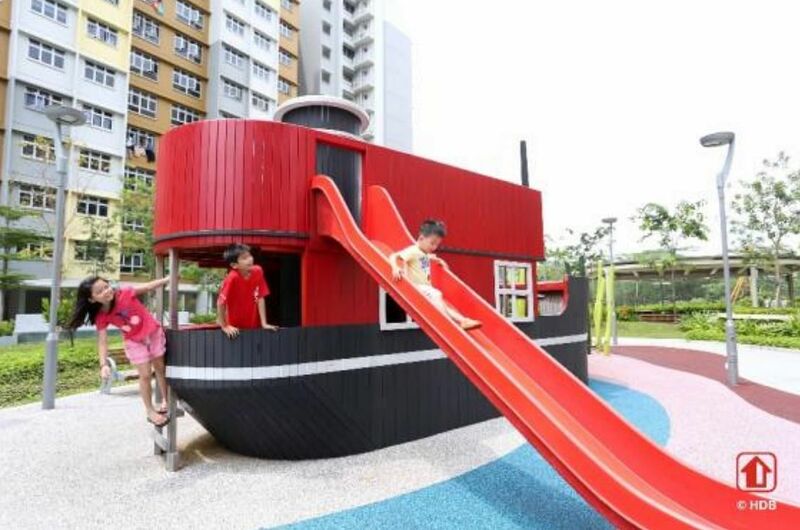 They are built around a neighbourhood's history - such as the one at Eastbank@Canberra in Sembawang, which features a double-decker ship from which children can "sail" through the seven seas, a riff on the town's past as a former naval base. They can also be centred on a theme, like an upcoming Alice in Wonderland-themed playground in Dawson in Queenstown, where children can swing under the Chesire Cat, slide down a rabbit hole or play hide-and-seek among a maze of cards - all hints of features in the beloved children's classic. 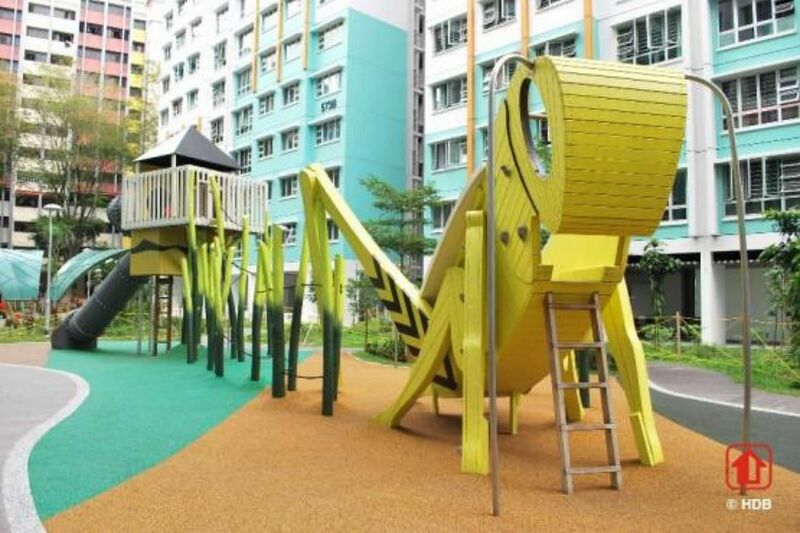 But beyond a theme that encourages exploration and role play, the new generation of playgrounds are designed with equipment to spur a wide array of activities such as climbing, swinging, balancing and jumping - skills to build confidence in children, the HDB said on Sunday (April 15). 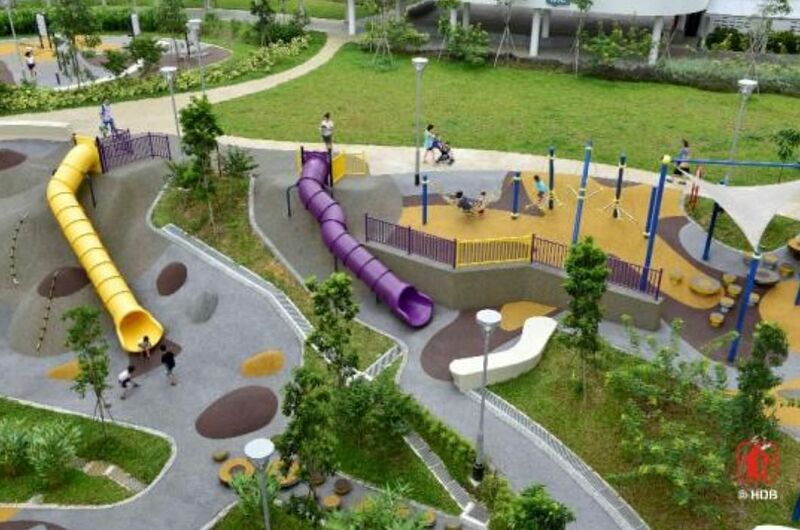 To date, six such playgrounds have been completed, in Choa Chu Kang, Woodlands, Sembawang, Sengkang and Toa Payoh. Another nine will be ready by 2021, with five of them in Dawson, where about 5,000 families will move in by end-2020. 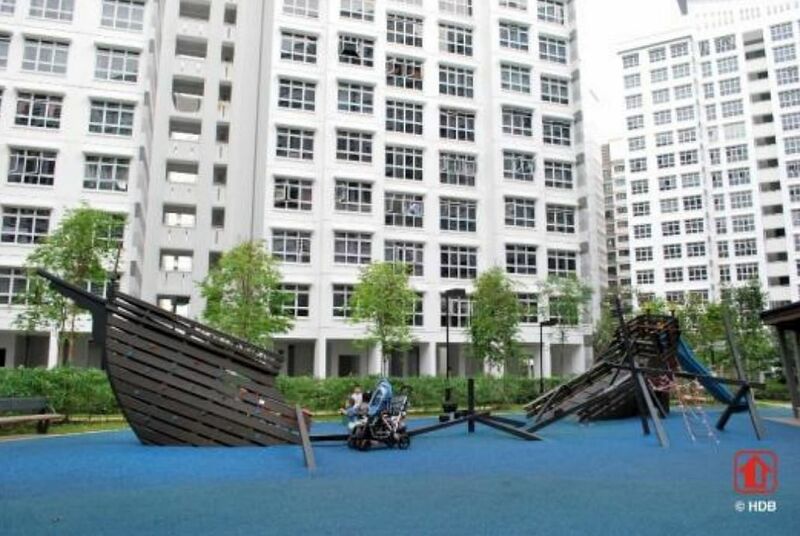 An HDB spokesman said all new estates will get such playgrounds where possible. 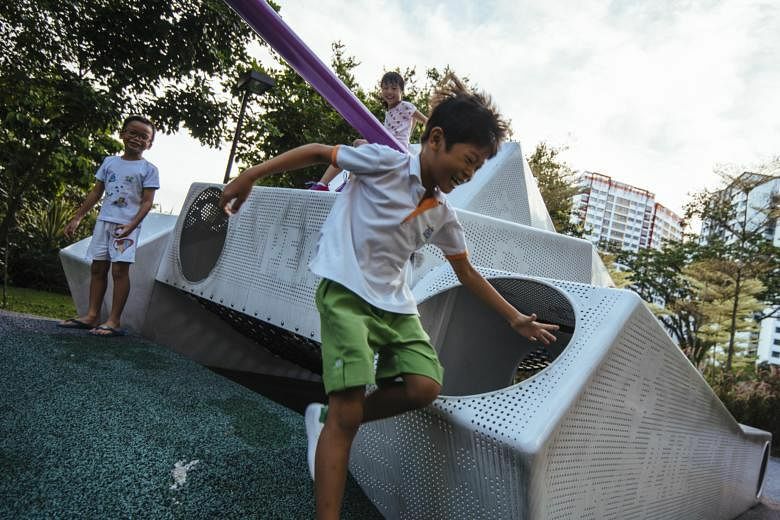 HDB's director for landscape and design Brian Low said such playgrounds help to shape a town's identity, and give families ownership of the place. Referring to several army-themed playgrounds in Choa Chu Kang, where the former Keat Hong camp used to stand, hesaid: "Fathers can tell their kids this is what they did in the army." 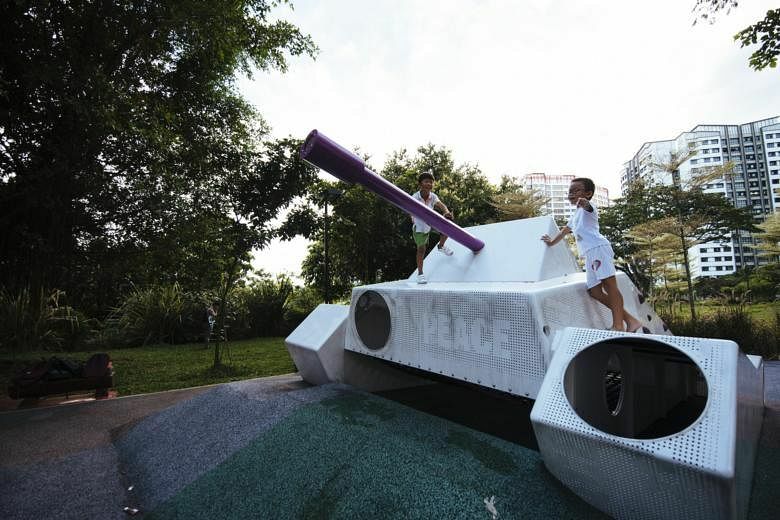 Education officer Ria Hamdan, 29, who moved into her flat in Keat Hong two years ago, praised the effort put in to create such thematic playgrounds: "Not only does it create a sense of history for our children, it can also evoke a sense of nostalgia for us, the older generation." For example, it signed a $6-million project last September (2017) with the Singapore University of Technology and Design to use data analytics and behavioural studies to create the "new urban kampung" and improve neighbourly ties. Newer Build-To-Orderestates also feature "community living rooms" instead of traditional void decks, with seating and placement meant to spark more conversations between neighbours.